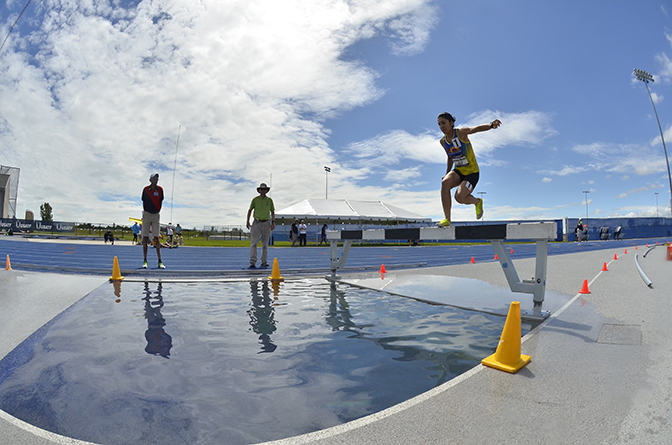 Family medicine clerkship coordinator Nadia Hernandez Morales won three gold medals and one bronze at the USA Track and Field (USATF) Masters Outdoor Championships last month. This is the first time Hernandez Morales has participated in an outdoor track meet. Hernandez Morales won two team gold medals as a member of the women’s 30-and-over age group 4-x-400 meter and 4-x-800 meter relays. 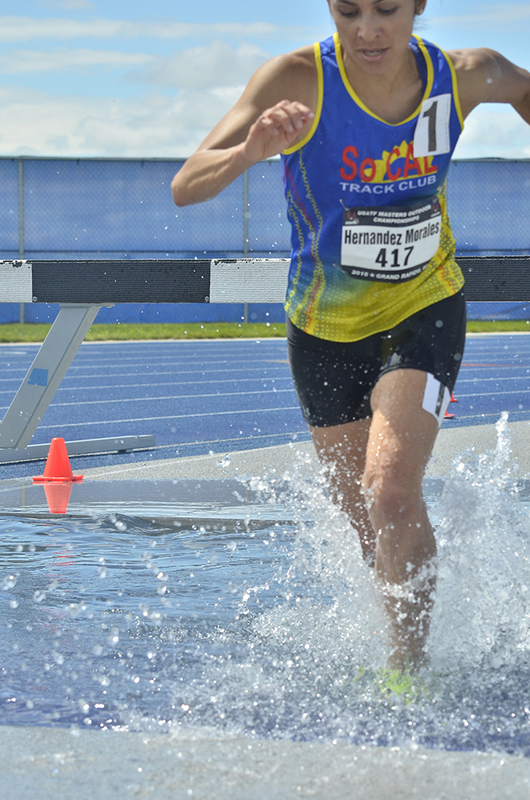 Individually, Hernandez Morales placed first in the 2,000-meter steeplechase and third in the women’s 30-49 age group 1,500-meter run. As a novice track runner, Hernandez Morales needed to adjust to spikes and other challenges that her teammates of the Los Angeles-based So Cal Track Club were already acclimated to. The steeplechase, a 2,000-meter race with a total of 23 30-inch barriers, includes one water jump per lap where the athlete lands in over two feet of water. This was the race that Hernandez Morales wanted to excel in. Though Hernandez Morales’ performance on the track seldom comes up at work, the clerkship coordinator feels being an advocate for a healthy lifestyle goes hand-in-hand with working in a medical setting. “As Hispanics, we’re pre-disposed to certain health ailments — diabetes, for example. So I decided to make it a little tougher on these diseases that I have a genetic predisposition to,” Hernandez Morales said. Now, Hernandez Morales is training to compete in cross-country track meets. Although most of her free time is dedicated to training — she trains in venues all over the region, from Cloudcroft, New Mexico to Coronado High School — she says the recognition at works makes is worth the effort.